The Northeastern Aegean Islands are much less compact than other Greek island chains and therefore each island is very distinct. 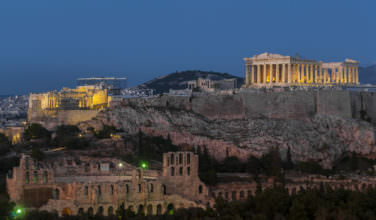 Visitors often enjoy these islands because they are much less crowded than other Greek islands but still offer a memorable Greek experience including Greek culture, cuisine, and celebrations. The three northernmost Aegean islands include Limnos, Samothraki, and Thasos. Limnos remains mostly unaffected by modern tourism and the majority of tourists during the high season are Greek. 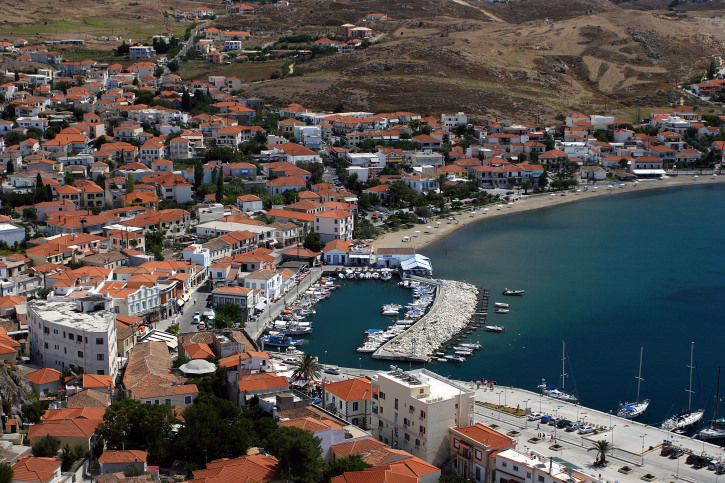 Limnos’ capital, Myrina, is a classic Greek fishing harbor town lined with sandy beaches. Due to the strong summer winds on Limnos, the island is ideal for windsurfing. Unfortunately the island is also known for its jellyfish population. 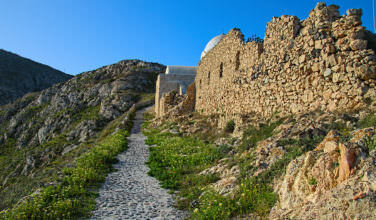 The Castle of Myrina, a hilltop kastro that dates from the 13th century, divides the town of Myrina from the beach. The 20-25 minute walk uphill to the castle is worthwhile for the sea views that extend to Mt. Athos. Limnos’ Archaeological Museum contains 8th and 7th century B.C. finds from Limnos’ three ancient sites of Poliohni, the Sanctuary of the Kabeiroi and Hephaistia. Limnos is perhaps best known as the central command post of the Hellenic Air Force, which keeps Myrina active throughout the year. Limnos can be segmented into three sections: Western, Central, and Eastern. Western Limnos has many popular beaches. Central Limnos, where the Greek Air Force’s central command is located, is lined with wheat fields, small vineyards, and sheep. Eastern Limnos has remote beaches and the island’s three archaeological sites. Because Samothraki is only accessible from Northern Greece ports, it is rarely visited out of high season. The island is thickly forested and its mountainous interior is ideal for hiking. Samothraki is home to the Aegean’s highest peak, Mt. Fengari, where according to Homer, Poseidon watched the Trojan War. Samothraki boasts one of the most important archaeological sites in Greece, the ancient Thracian Sanctuary of the Great Gods. The Sanctuary, 6m northeast of Kamariotissa, Samothraki’s port, is a temple to the Thracians’ Great Gods that was built around 1000 B.C. 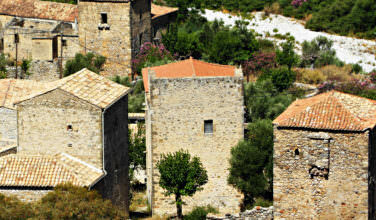 Loutra, a relaxing village with dense greenery, is the most popular place to stay on Samothraki. Loutra is also called Therma because of the Thermal Bath that can be found here. The therapeutic, mineral-rich springs reportedly cure everything from skin and liver problems to infertility. Like Samothraki, Thasos is only accessible from Northern Greece ports, but there are frequent ferries from the mainland. Thasos is one of Greece’s greenest islands and has sandy beaches and a forested mountain interior. 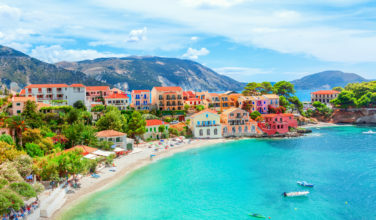 The island is relatively inexpensive by Greek island standards, which make it a popular destination for families. The Philippi Thasos Festival is celebrated during late July and August and features classical drama, painting exhibitions, and contemporary Greek music. The island lives largely on tourism and most hotels are closed during the off-season.